Spectacle Tinting offers quality work, customer satisfaction, and same day service. We only hire the most qualified technicians in order to service your vehicles. 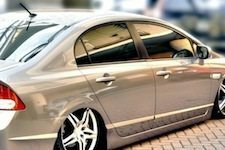 Spectacle Tinting offers the finest quality work in automobile tinting. 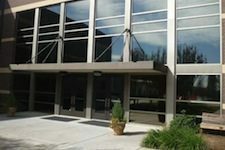 Whether it’s a multi-story commercial office building or a small Ma and Pa store, our technicians have the knowledge to complete the job. 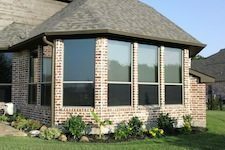 Our window films are specifically designed for any type of home—from our specialized beach home tinting to our desert home tint, we can meet any need. After enjoying a few years of surfing the west coast, we decided to enter the tinting industry in the early 90’s. After twenty years we have built strong relationships in Columbia South Carolina & surrounding areas. We only hire the most qualified technicians in order to service our home town. Our technicians offer the finest quality work in automobile tinting, residential tinting and commercial tinting. We use only the most advanced window films on the market and that offers UV protection backed by a lifetime warranty. Call us at (803) 200-2040 to find out more about our services and to request a free estimate. Proudly Serving Columbia to Irmo with all it’s window tinting needs. 3M Window Film - Heat rejection performance demo with white Chocolate.